Darjeeling tea continues to be hit by the effects of the 104-day-long shutdown of tea estates in the region in 2017. This year too the premium tea, once prized for its flavour and aroma the world over, has opened to a lukewarm response form buyers in Europe and Japan, with the result that exporters are now looking for alternative markets. Darjeeling tea usually fetches around $4.4 per kg in prime markets in Germany, the UK and elsewhere in Europe. And specialty tea varieties from this region, which are available in extremely limited quantities, can command upwards of $250 per kg in the European Union, Japan and other countries. 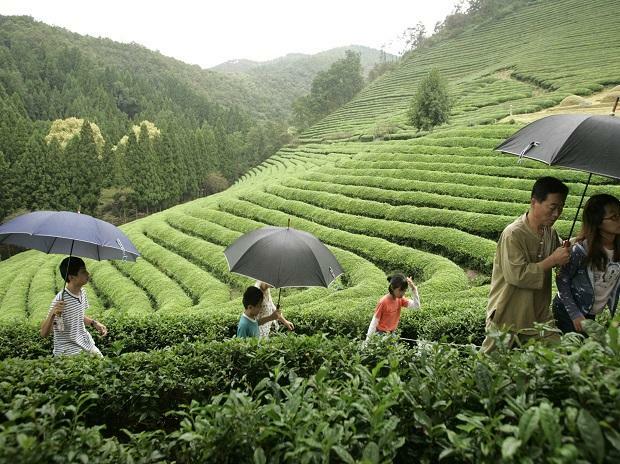 Darjeeling tea production is estimated to be about 8 million kg, of which around 6 million kg is exported. The agitation for a separate state of Gorkhaland and the consequent shutdown of tea estates in Darjeeling for several months in 2017 led to the tea practically vanishing from global markets. When Darjeeling tea made a comeback in 2018, producers expected a huge uptick in prices — at least by 20-30 per cent. That has not happened and importer demand has simply not picked up. “It was disappointing last year and it's the same this year too. There isn’t any significant demand for any specialty tea from the buyers in Europe,” Prateek Poddar, director at Darjeeling Impex, which owns the Namring tea estate, told Business Standard. Poddar is currently touring the EU to negotiate deals and contracts with buyers for the forthcoming second flush Darjeeling tea. The Darjeeling second flush, or the season’s second tea crop, is a much sought-after tea, which when brewed, emits a Muscatel flavour and aroma that is unique. This distinct sweet flavour is absent in any other flushes or teas from any other region. “But now buyers are reluctant to pay higher prices and there is also no enquiry for specialty or bouquet teas. The EU has grown very cautious in its approach,” Poddar said. Kaushik Basu, secretary general, Darjeeling Tea Association (DTA), said that though the prices in the EU and Japan have risen somewhat, it is only to the extent of making up for currency volatility and inflation. “Exports to Europe and Japan have fallen as international buyers are cautious about procuring even the first and second flush teas which have always been in high demand,” he said. Basu is of the view that the acute shortage of Darjeeling tea in 2017 made a bad impression on buyers and packeteers as Indian tea companies failed to honour their forward contract commitments. According to sources, it led to at least four big European brands to either take their Darjeeling teas off the retail market or stop focussing on their Darjeeling brands. 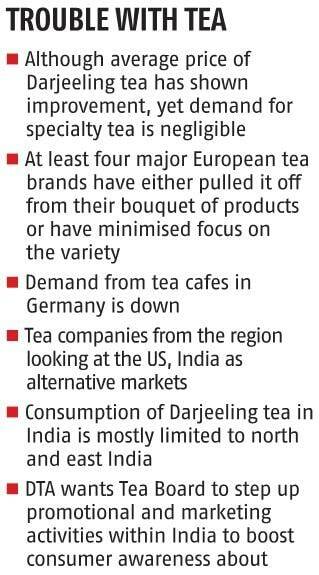 A tea exporter from Kolkata who ships Darjeeling and Assam teas, said a prominent tea café in Germany, which has over 25 outlets, has stopped procuring Darjeeling tea. Instead, it is concentrating on Assam and Sri Lankan orthodox teas. Tea producers from Darjeeling and the DTA feel that the Tea Board needs to step in to promote the Darjeeling brand in the Indian market rather than rely solely on global markets where Darjeeling tea is fast losing its prominence. And the sooner it does so, the better.